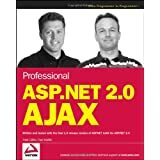 ASP.NET 2.0 AJAX is Microsoft’s Ajax tool for ASP.NET developers and this book covers the ASP.NET 2.0 AJAX final release. You’ll learn how to use the ASP.NET 2.0 AJAX features in order to create richer, more responsive dynamic Web sites. The book walks you through examples for each featured element, demonstrating how the client and server interact to produce a better Web application, and reviews such topics as client framework, script manager control, networking stack, application services, partial page updates, control extenders, client form elements, and client behaviors. Anyway, it very well-organized, easy to follow and provided a great starting point for the ASP.NET AJAX framework. 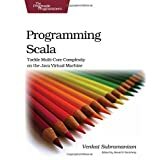 Even if you’ve been surfing the ASP.NET AJAX documentation you’ll still pickup some good tips and information from this book.